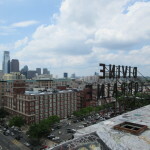 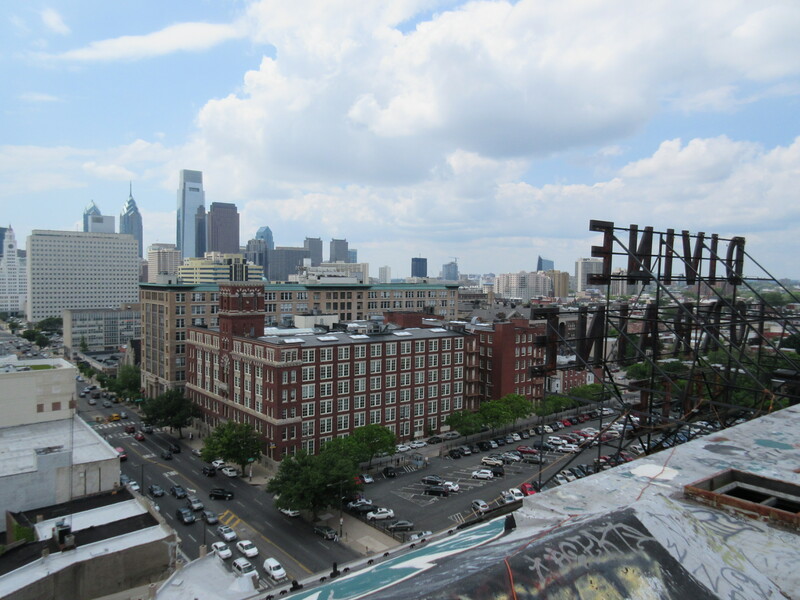 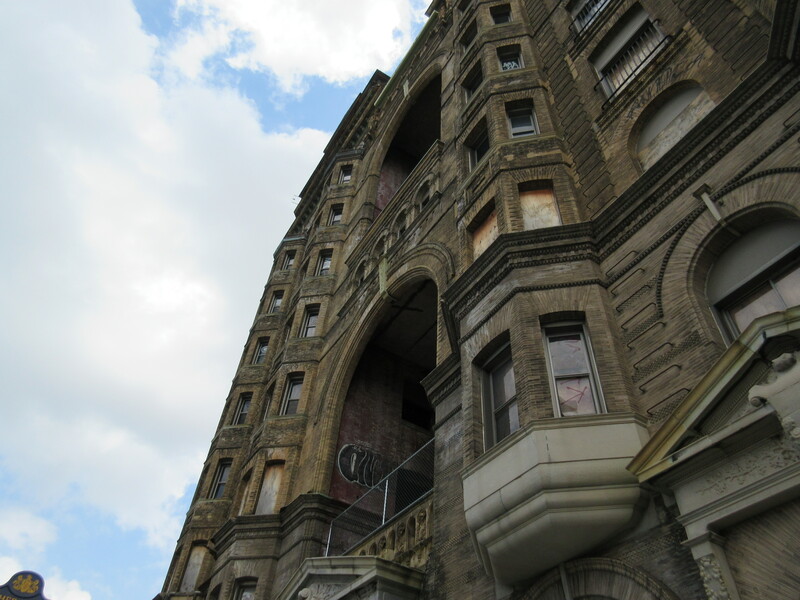 For the past 15 years, the Divine Lorraine Hotel in Philadelphia has been sitting vacant at the corner of Broad and Fairmount. 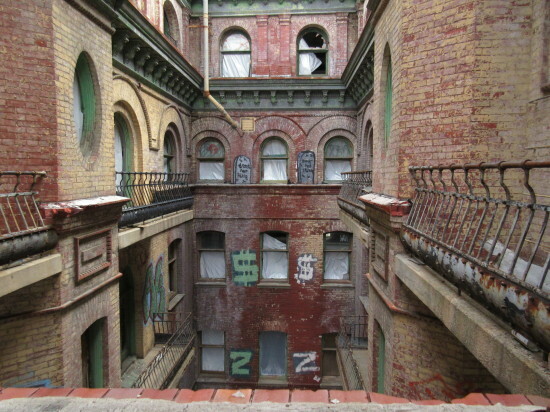 The 10-story building, which opened in 1894 as luxury apartments, was once a towering symbol of wealth. 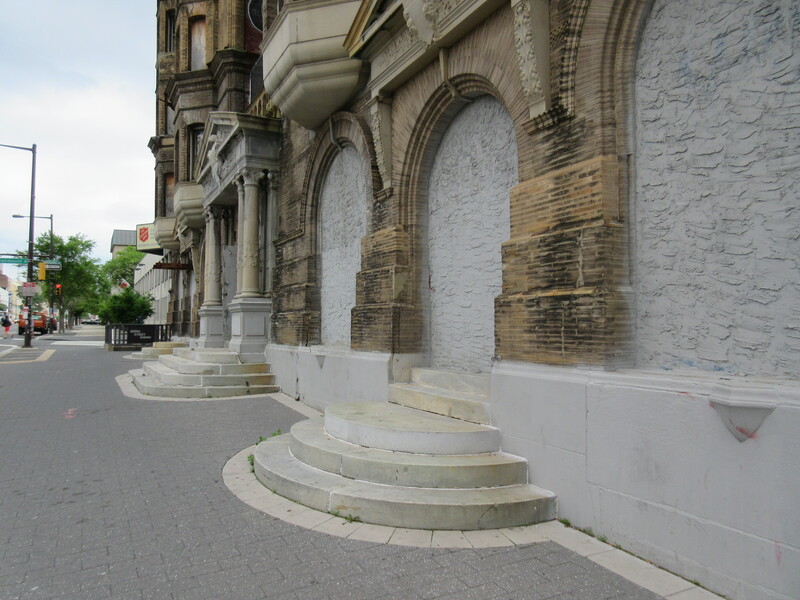 Today, it is a graffiti-covered shell of its former self—but that could soon change. 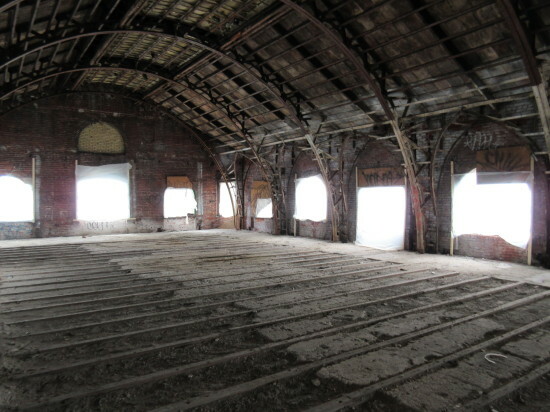 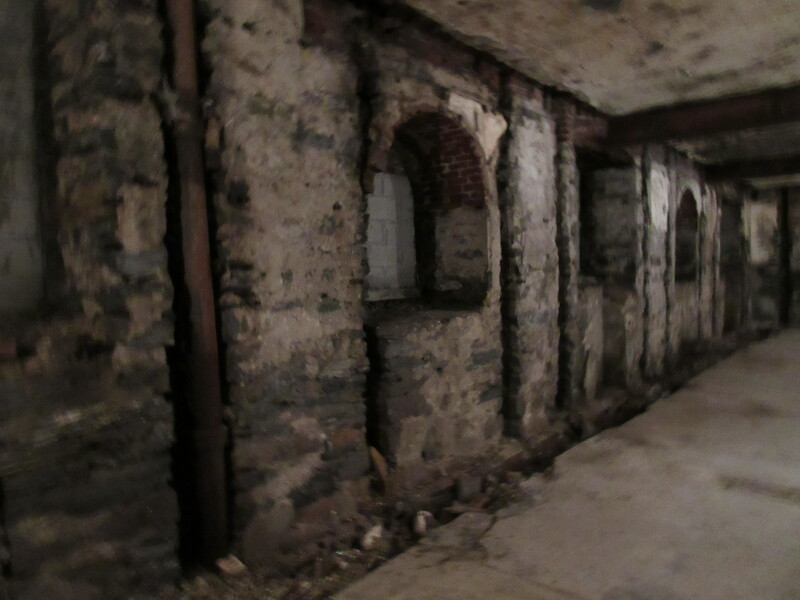 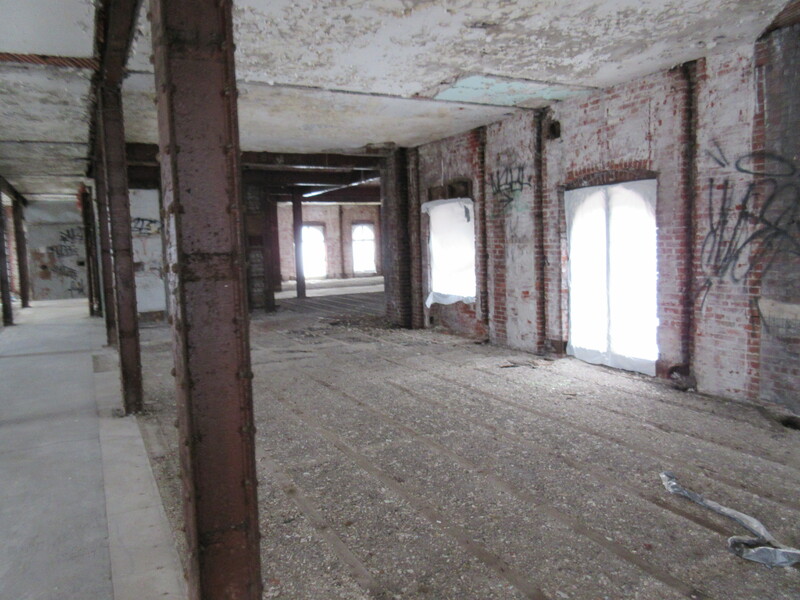 A local developer is finalizing plans to bring the building back to life. 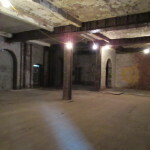 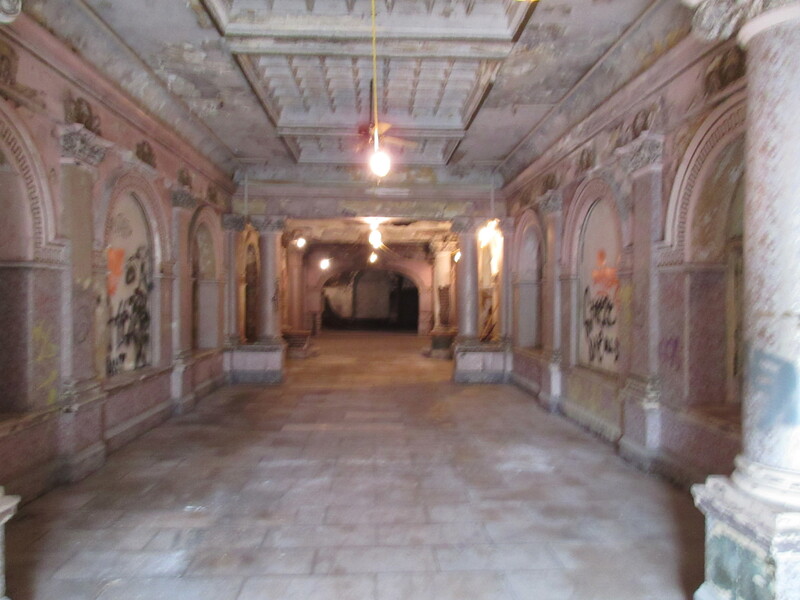 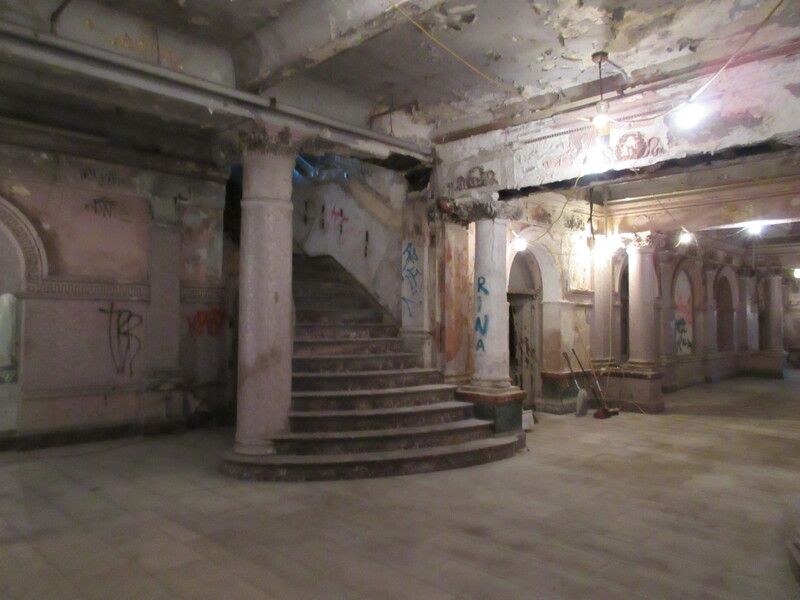 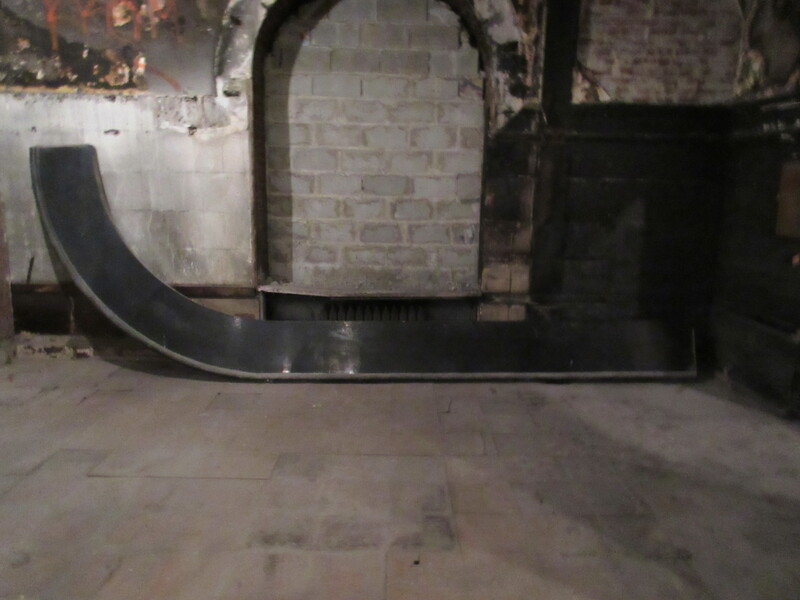 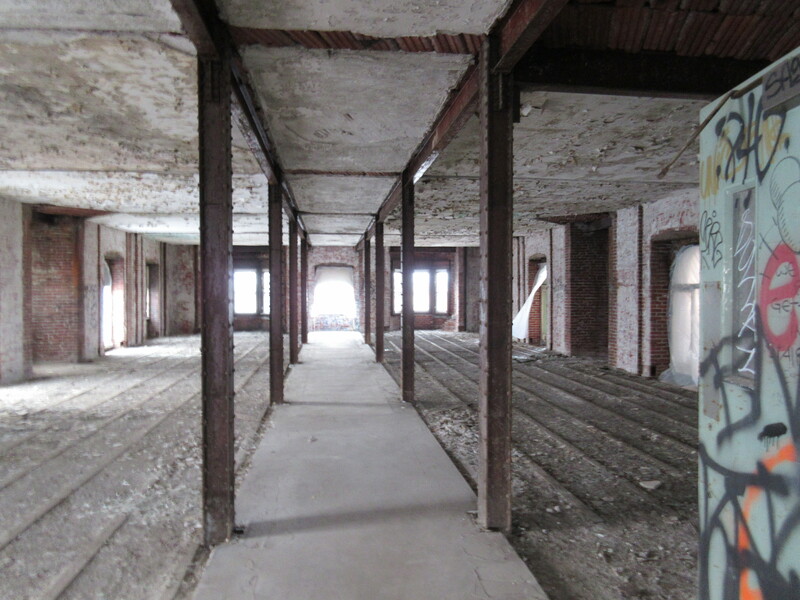 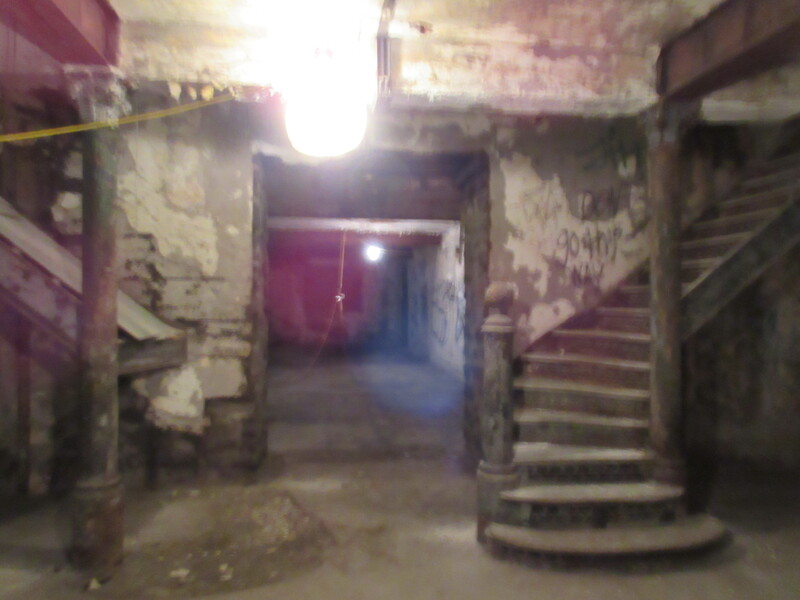 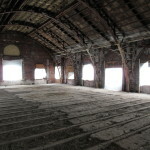 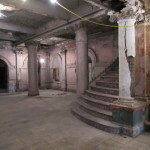 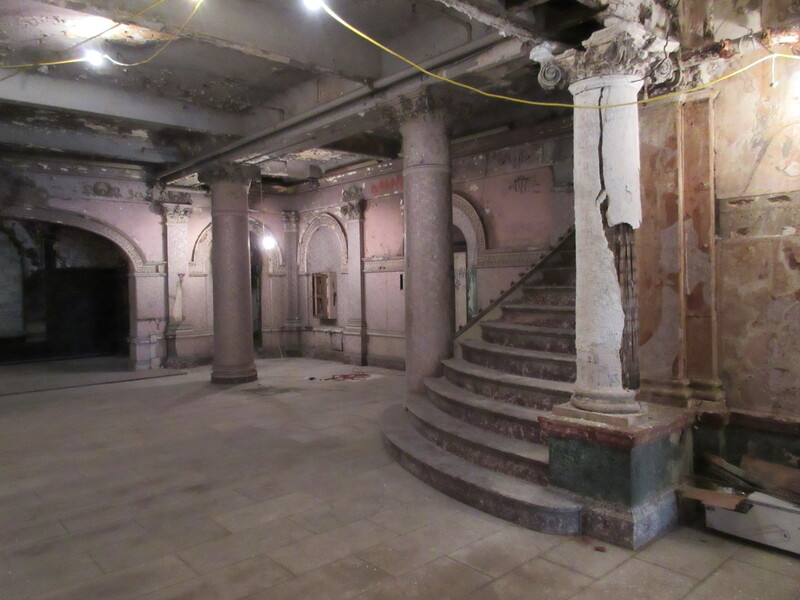 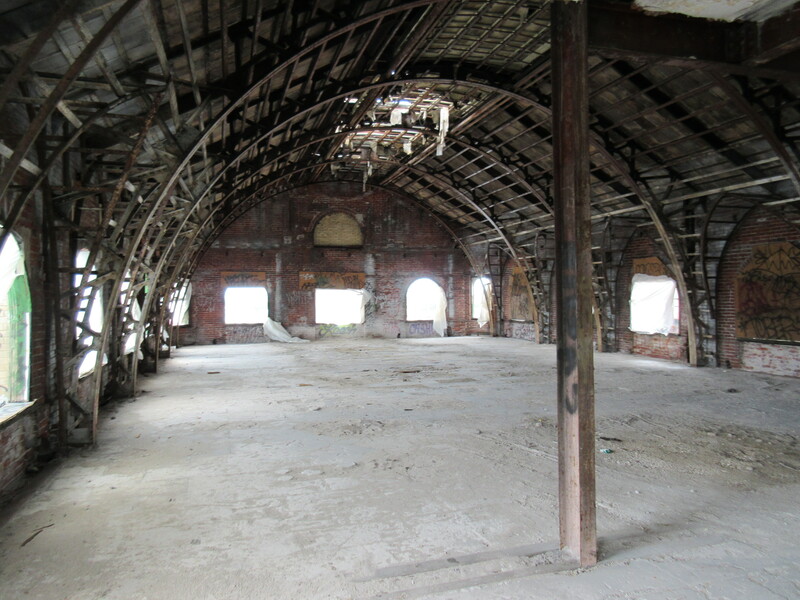 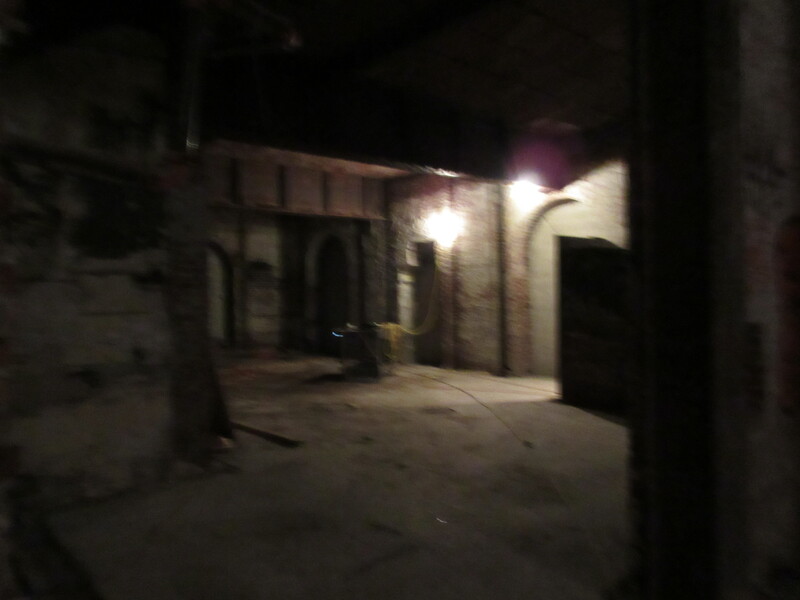 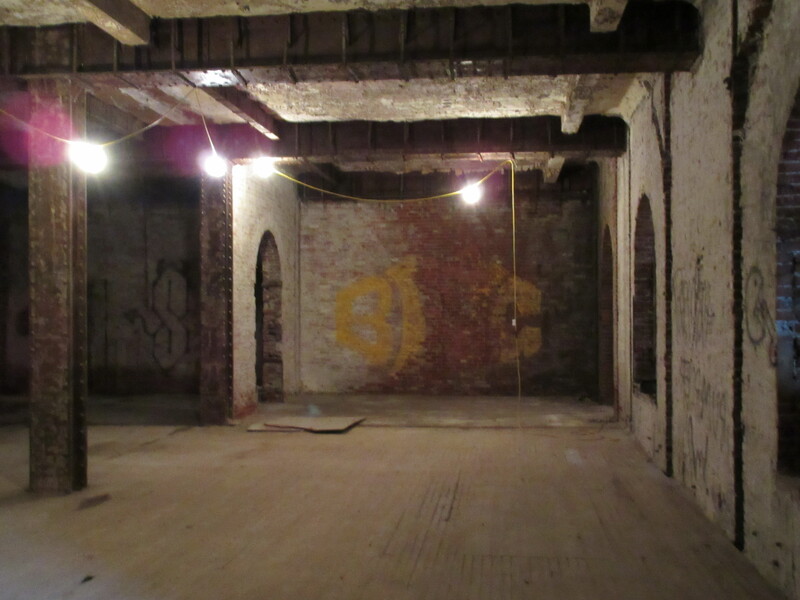 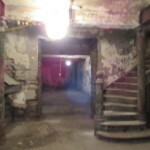 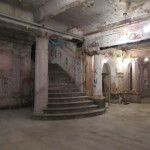 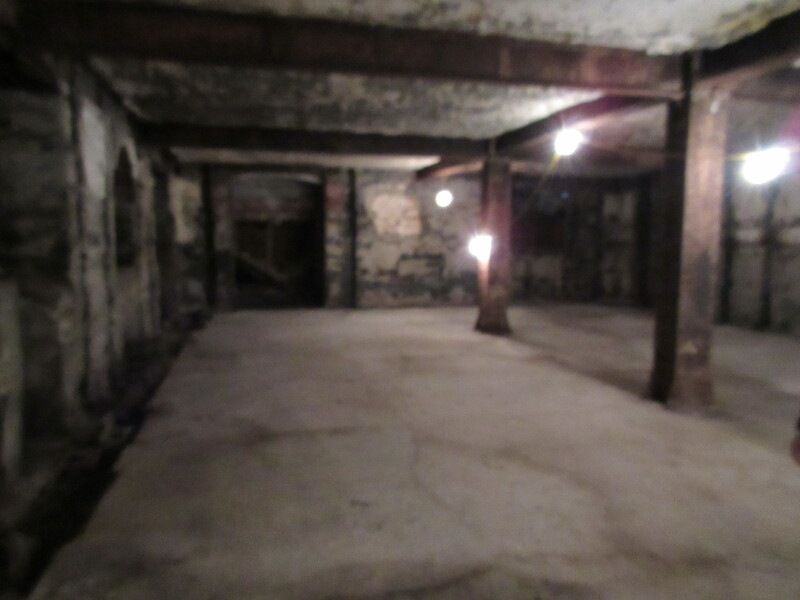 Before that happens, AN was allowed inside—and on top of—the Divine Lorraine to see the space in all its tagged and gutted glory. 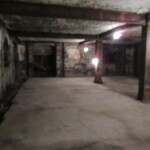 First, some history. 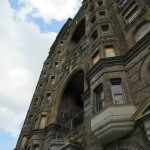 The Willis G. Hale–designed building opened as the Lorraine Apartments, but was converted into a high-end hotel at the turn of the century. 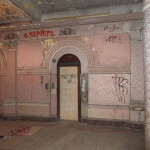 The Lorraine operated as such until Reverend Jealous Divine, the founder of the International Peace Mission Movement, bought the building in 1948. 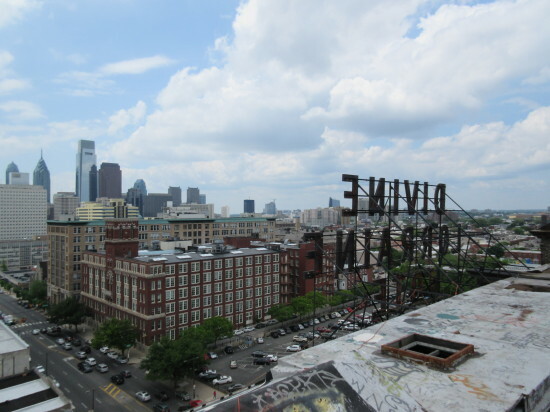 He changed the name of the building to include his own name, and opened what is said to be the first racially-integrated hotel in Philadelphia, and maybe the country. 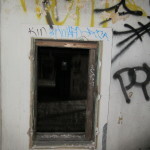 The Reverend has been described as both a religious leader and a cult leader. 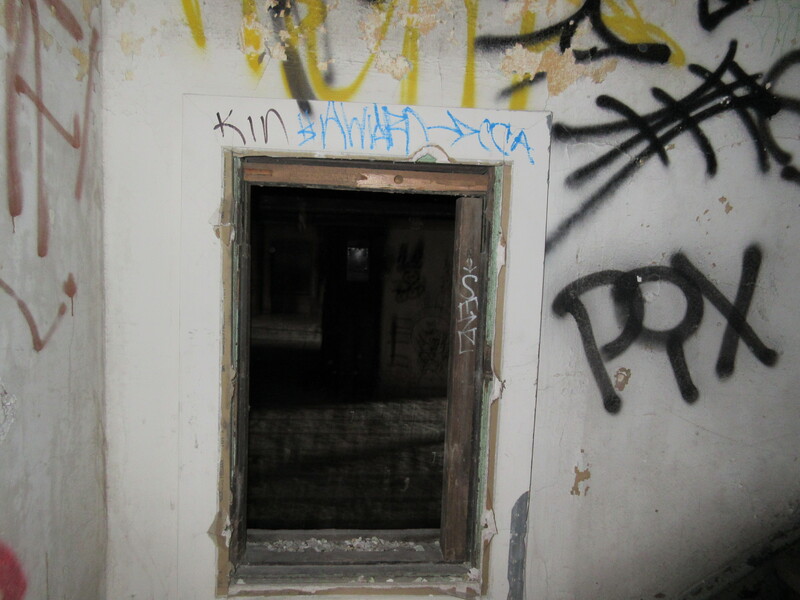 The fact that Jim Jones tried to take over the Movement after the Reverend’s death in 1965 points toward the latter. 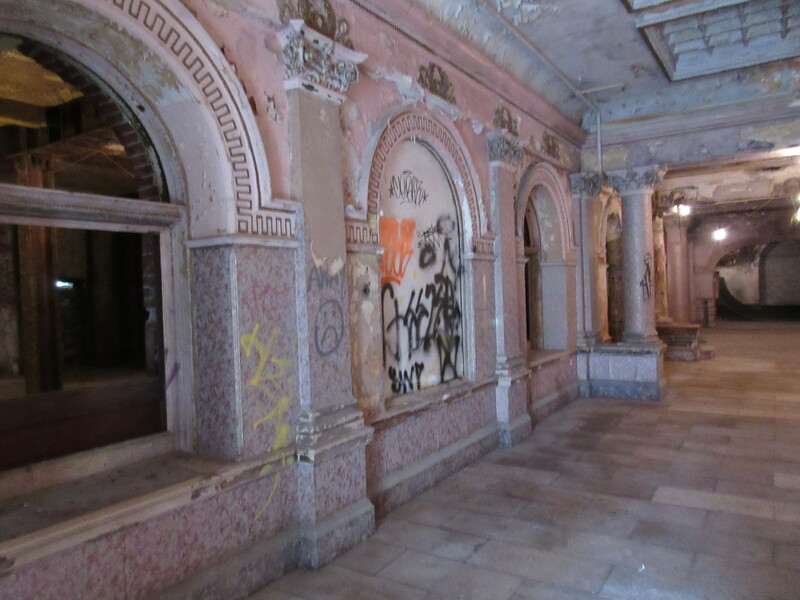 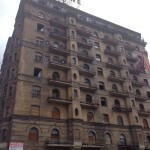 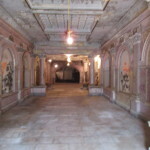 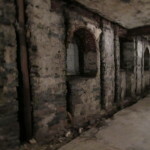 By 1999, the Divine Lorraine had been completely abandoned. 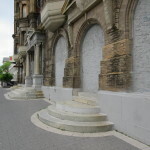 In the following years, many tried to give the building new use, but never found success. 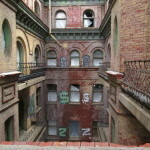 What is happening now is different. 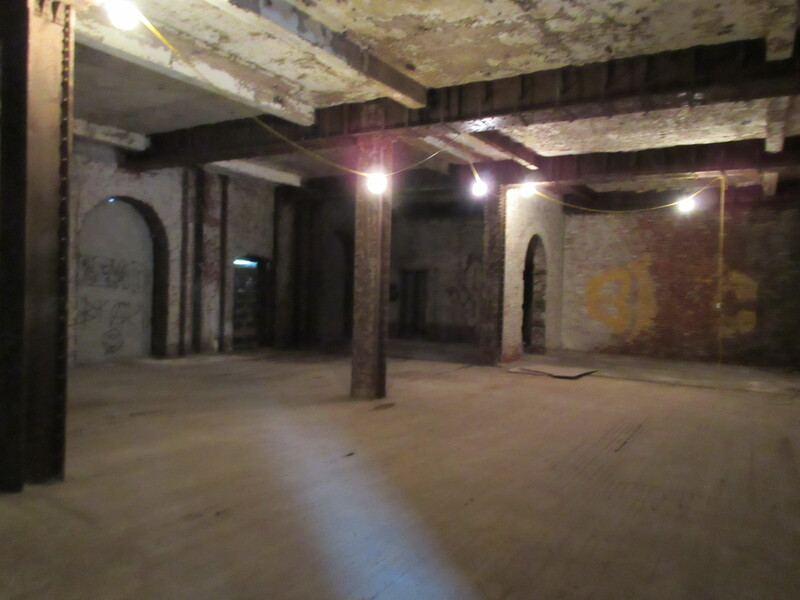 With the help of a $31.5 million loan from a real estate lender, local developer Eric Blumenfeld plans to transform the Lorraine into 127 apartments, restaurants, retail space, and, possibly, a hotel. 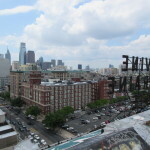 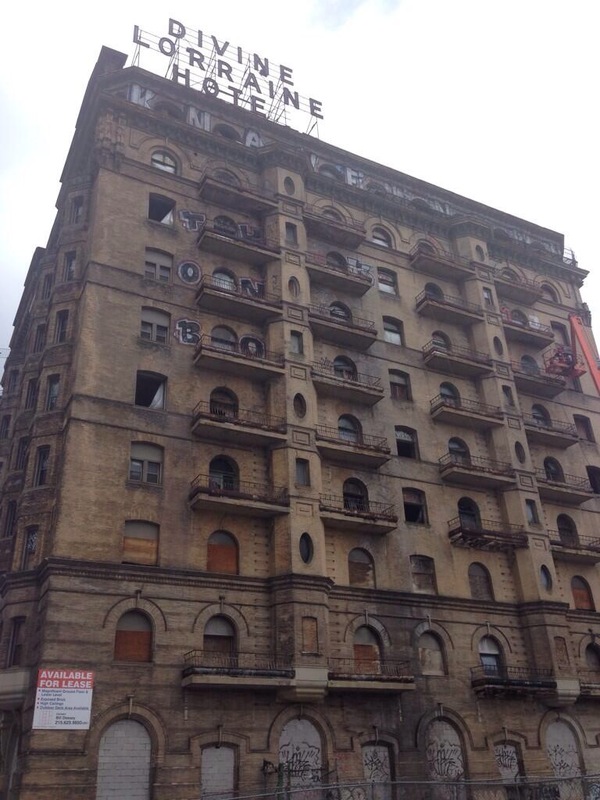 When the transformation of the Divine Lorraine is complete, its iconic rooftop sign will be lit again with neon. 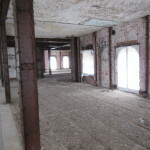 The terms of that loan are expected to be finalized within 30 days, and construction will likely take up to two years. 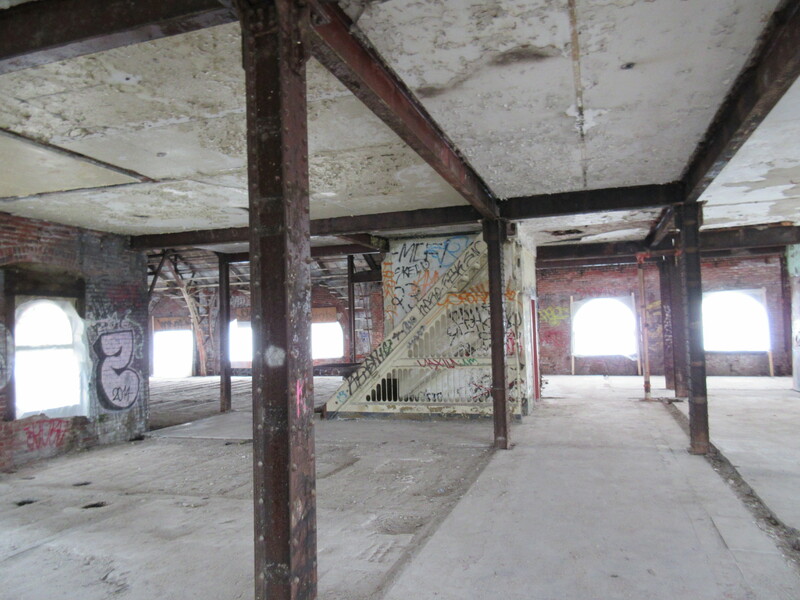 Local firm Wallace Roberts & Todd (WRT) is overseeing the project. 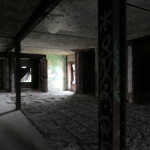 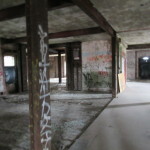 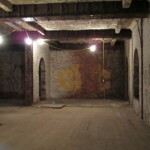 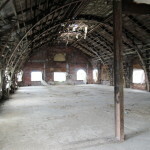 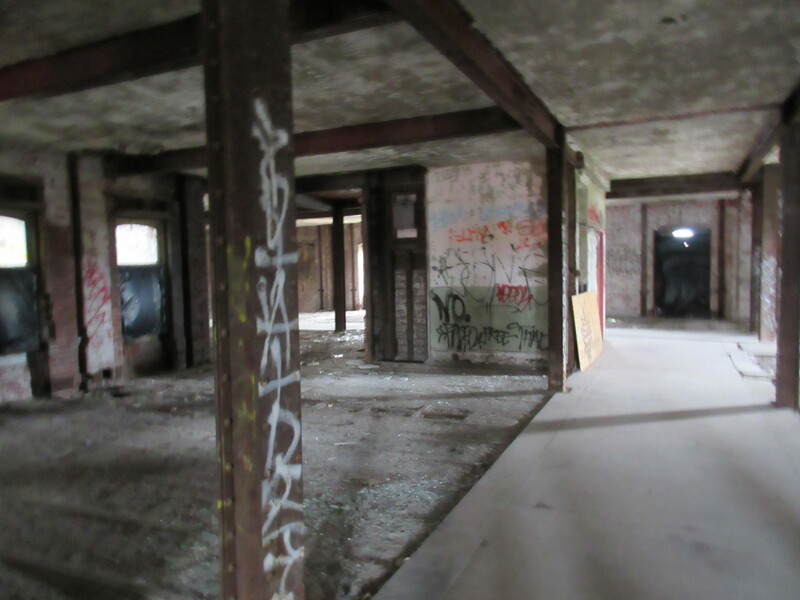 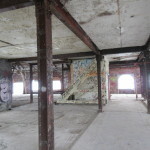 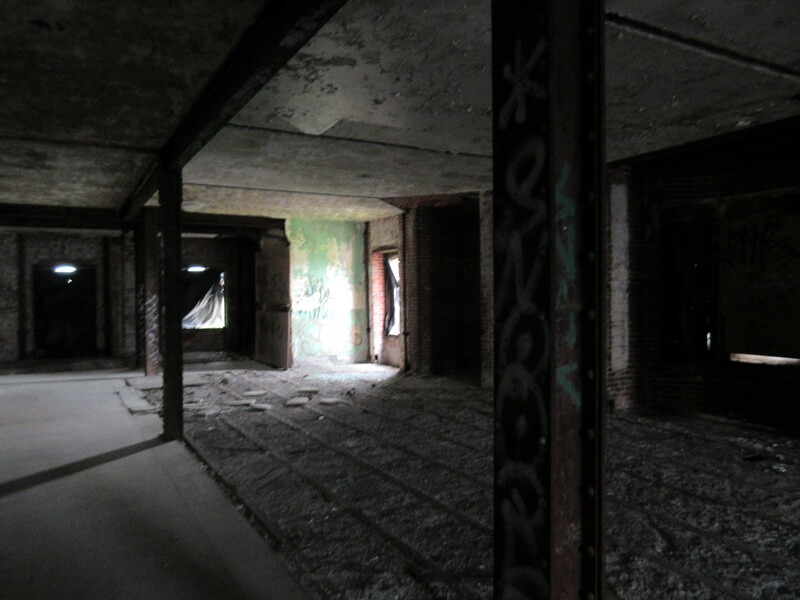 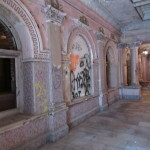 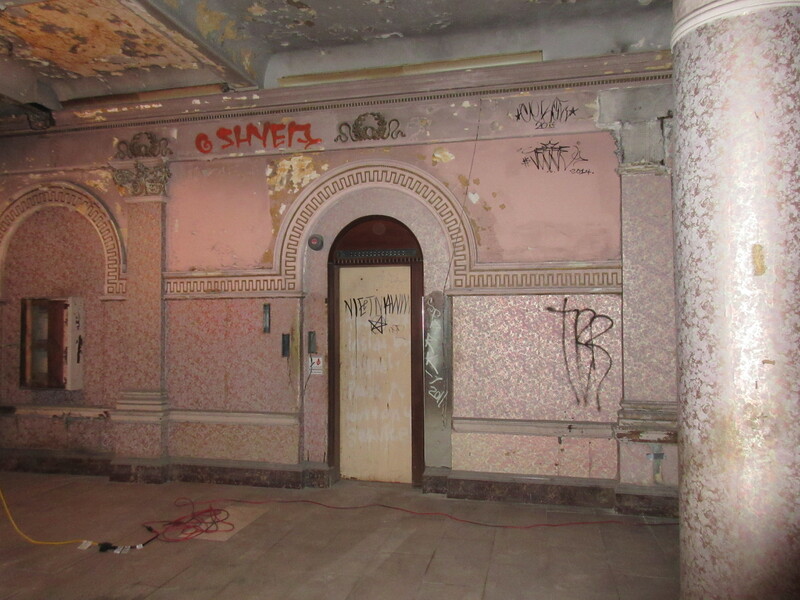 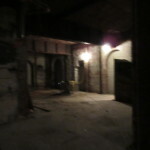 When AN visited the building, crews were already busy blasting graffiti off Lorraine’s skin, and construction lighting was hanging throughout the interior. 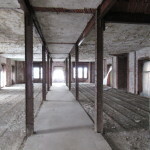 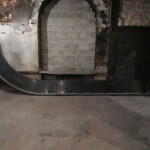 A structural report on the building had been completed the day before.